A bulletproof vest is great. One that will alert your superhero posse when you’re hurt, however, is even better. That will be the S-911 Vest. 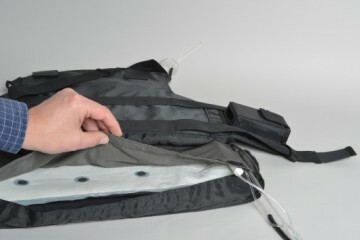 Made by Laipac Technologies, this body armor will stop bullets from touching your body just like any protective vest currently in the market. The Kevlar material will dutifully handle that, with optional armor plates that can be inserted for rebuffing even nastier ammunition. Except it’s infused with a few tech features that should make it a bit more useful while you’re saving the day all over the city. 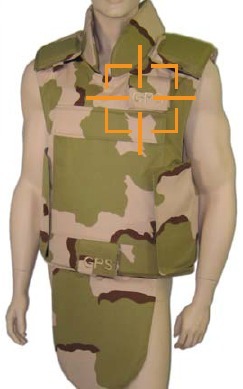 The S-911 Vest comes with built-in GPS, so your superhero team can get a lock on your location anytime they get bored playing with your Outdoor Pool Table and chilling in your Freeline Sun Bed. You know, so they can join you doing some crime-fighting and stuff. The vest will give out your accurate position, speed & heading, allowing the team to quickly figure out where to catch you. If your team wants you to stay within a certain area (you tend to wander down the red light district a little too much), they can also set up a geo-fence that will send them an alert once you leave the confines of the defined space. Additionally, it comes with a built-in G-sensor that will send out a signal every time you get hit. That way, the team will know that you actually need some help, prompting them to finally log off from OnLive and get out in the sun for a change. Superheroes be addicted to games, too. If you’re going to superhero your way about town, you need to be impervious to bullets. 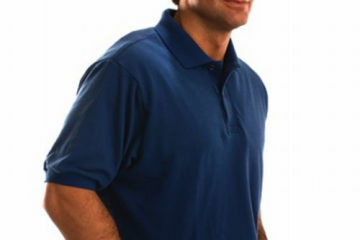 And if you have a team of caped crusaders watching your back, the S-911 Vest is your likely best choice for one.